Pokémon Super Mystery Dungeon is very much a rollercoaster ride, frequently oscillating between highs and lows. Just when you think you can't bear the tedium any longer something interesting happens that pulls you right back in. On the other hand, just when things are starting to get good it levels off and you're forced to plod through boring and unfulfilling gameplay. 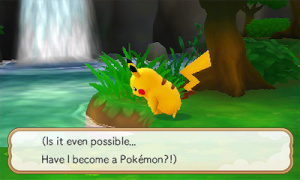 Ultimately, Pokémon Super Mystery Dungeon is a game for those who enjoy some grinding; if you have the perseverance to stick with it long enough, you'll find that it pays off in the long run. The story drags unbearably long early on, but it does pick up significantly as you and your team move on to bigger and better things. The traditional personality test at the beginning of the game suggests to you which Pokémon are best as your main character and partner, though you're given the freedom to choose from any of the starters or Riolu or Pikachu. Things start out with you being an amnesiac human who finds themselves in a Pokémon's body, and this is where the story really slogs along. After being adopted by a Nuzleaf living in a Pokémon village and enrolled in the local school, a tutorial that lasts for several hours sets in. Though the characters you meet are charming and all have unique personalities, the sheer volume of tedious cutscenes and the mountains of dialogue dampen an otherwise enjoyable experience. On top of this you're spoonfed the gameplay mechanics at a glacial rate dictated by the game, which makes for an extremely repetitive experience. While these problems do still persist to a certain degree throughout the entire game, it does get better as things pick up. For the majority of the playtime you'll be wandering around randomly generated, grid-based dungeons that are best enjoyed in short bursts due to their repetitive nature. Every time you re-enter a dungeon the layout, enemy placement and item distribution of each floor is completely new, and while this theoretically means that the content is virtually limitless, the cracks quickly show when you realize how similar every dungeon is to the next. Once you've seen one dungeon, you've seen them all. While the environments and the Pokémon types may vary between each one, it's still the same old story of wandering around a floor looking for the stairs so you can move to the next floor, which looks almost exactly the same. Fortunately, many missions don't send you too deep and generally end just as things are beginning to get stale, but the issue is nonetheless persistent throughout the whole game. Nonetheless, when a dungeon's floor count gets into the double digits, it can definitely become a chore to keep running into the same Pokémon when you just want to get to the stairs and find a way out. The battle system bears many resemblances to that of the classic Pokémon series, but here it's tweaked a bit so as to be a bit more live action and strategic. Enemies are visible on the map and you can avoid them, in theory, though this is easier said than done. When an enemy is within striking distance, holding down the L button brings up the four attacks your Pokémon currently knows, along with helpful indicators next to each one that signal which are super effective and which are not. While things can certainly grow tiring with exhaustive repetition, the battles can be spiced up by a variety of strategic options. For example, certain attacks have lengthy range, meaning that you can pull a Pokémon a few steps out of harm's way and have them launch attacks from afar. Moreover, usage of items such as wands and orbs can turn the tide of a battle very quickly and also assist in other ways. These items can do things such as inflict status ailments on one or more enemies, reveal the location of the stairs, or warp you and your team elsewhere on the floor. While they may add some much needed dimension to otherwise uninteresting battles, it seems that they become a bit too much of a crutch in certain dungeons, with success being nigh impossible if you don't use them. Additionally, the usage of Alliance attacks and Emeras help give you an edge in combat. Alliance attacks consist of you taking all three team members and having them all attack consecutively in one move on one enemy. While they can sometimes be a bit too powerful for their own good in a typical mission, Alliance attacks are a welcome addition in boss fights and can have some very interesting outcomes depending on which Pokémon and moves you use to pull them off. Emeras are small jewels laying around dungeons that can be slotted into Looplets held by team members and they bestow extremely helpful buffs and benefits, but the catch is that they vanish each time you leave a dungeon. While they serve as a nice addition to combat and can be useful in certain situations, their effects can be pretty hit or miss, with some being incredibly helpful and others being nearly useless. Pokémon are no longer recruited randomly and are instead won over by completing missions for them via the Expedition Orb. These can range from finding an item a Pokémon lost to rescuing one who went just a bit too deep. Missions are refreshingly diverse and offer a much needed sense of freedom by allowing you to take up as many tasks as you want and in just about any order. 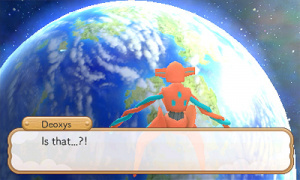 When a mission is completed, that Pokémon is linked to you in the Expedition Orb and you're given access to however many friends that Pokémon has. All 720 Pokémon make an appearance here, so there's no shortage of missions being offered. All in all, the streamlined method of tackling assignments and adding more Pokémon to the ranks has never been more satisfying. One major problem that tends to rear its ugly head from time to time, though, are ridiculous difficulty spikes that completely disrupt the momentum of the gameplay. After completing numerous missions for Pokémon and steadily making progress, you'll suddenly hit a brick wall when you're forced to defeat a boss Pokémon that is literally several dozen levels above the team. Being steamrolled by a humourously overpowered boss forces the player to fall back on cheap tactics, and these battles can sometimes take ten minutes or more to complete. Additionally, it can be pretty tough to work through the sheer tedium of it all. Dungeons begin to blur together indiscriminately midway through the game and the lack of dynamic aspects within them leads to gameplay stagnating rather quickly. While varying mission objectives greatly help to alleviate the repetition, it definitely is not negated and there are many points where it's very easy to grow bored when nothing new is happening. In terms of visuals and audio, things have never been better. In free roaming sections the environments are colourful and diverse, with smooth models and animations to populate everything. The 3D effect does a good job, but is mostly forgettable when it's primarily used to simulate space between the HUD and the gameplay. Nonetheless, there's not a lot of application for stereoscopic 3D in a game that's primarily about a top down view of flat environments. The music is a cut above that which is usually heard in the main series Pokémon games, with a pleasing and upbeat mixture of remixes and new tracks to massage your ears. It looks really appealing, but I guess I'll wait for a discount on this later in 2016 before getting it. Okay people, I have a bone to pick with this review. This game should have been reviewed compared to the previous games, as they were just as "tedious". What we want to know is if it's just as good as the "Explorers of" games or if it's as bad as Gates of Infinity. From the guys behind the Zero Escape series. Doesn't look bad, and I don't know of any Pokemon game, including spin-offs, that isn't repetitive. @BlatantlyHeroic The thing is, not everyone thought that about those games. I had the exact same problem with Explorers of Sky that seems to be mentioned here, that being the tedious and not particularly varying gameplay. I was curious whether or not that was changed, and it doesn't seem to be. I thought this game would be different from "infinity gates" but it isn't. I've played 2 hours and I can't play anymore. There is an excessive amount of stupid dialogue, and its totally unbearable. What a shame, I really wanted to like it but this game is not for me. I played Gates to Infinity and didn't think it was that great. I was only going to get Super Pokemon Mystery Dungeon if it had absolutely brilliant reviews everywhere, but this doesn't seem to be the case. What I really want to know is whether Kecleon is recruitable in this. They made it impossible in Gates to Infinity, though it was very close to impossible in earlier games. @Mitch - I'm guessing they removed the basic, "free roaming" puzzle areas that broke up the dungeons and were a refreshing change of pace in Gates to Infinity? This game is actually really good. The combat is fun and challenging, the soundtrack is incredible, and the Pokemon are cuter than ever. I'd give it an 8.5/10. 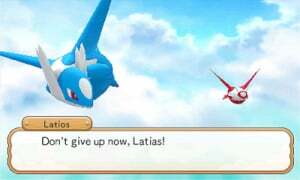 @Lugia Most Mystery Dungeon games average scores are in the 6's. I loved the previous ones - minus the dumb shallow slog that is Gates to Infinity - and if you did too then I reckon you'll get a kick from this one. I don't know what to think about this one. I really enjoyed the first two games but Gates to Infinity was just really blah overall. These kind of games really need to be compared with other games in the series. How does every aspect of it compare to Explorers of Sky, the best in the series? Is it more tedious than that one, or is this the first in the series that the reviewer has played? Fan impressions of this one have been pretty positive. Would be more interested in reading a review that more directly compares it to earlier Pokemon Mystery Dungeon games. Heeey, 6/10, that's an improvement from amiibo Festival and Ultra Smash! That's good, right? ...Right? ...RIGHT!? Oh, who am I kidding, this is not a good month for Nintendo. Debating if I should go with this or pick up a used copy of Explorers of Sky. I loved Explorers of Time when I borrowed my brother's copy, so I don't know if I should go with the updated version of that game or a new game. Did anyone ever expect this to be good though? Have any of them been good? I find very few Pokemon spin-offs to be nearly as enthralling as the main event, but to be fair I don't think these dungeon games were made for the same crowd. Okay okay, there are two spinoffs that I quite enjoy, (well one spin off and one tacked on for profit) Pokemon Puzzle League & Pokemon Snap. From what I've heard this game is WAY better than Gate to Infinity, many players comparing it to the Explorers entry. I read quite a few user reviews and most all of them said the same thing- aside from the slog fest of a tutorial, the game is among the best in the series. Now, I can't say for sure because I haven't played both to compare, but they seemed pretty convincing. I ordered the game once I heard that too. Thought it would be a good entry to jump in with. I think those who loved the previous games should look at the user reviews, which give this game loads more praise. It seems to be a lot better than Gates to Infinity. A 6? Well, I suppose a lot of gamers would find the PMD games tedious, but for those who love Pokémon and are all right with a slower pace, these games are fantastic. This game is super cute and highly polished. I wish the main pokémon games would have stories as good as these spin-offs! @Geonjaha I think the role of the review differs based on the needs of the reader. For you, it sounds like you're well-versed in the Pokemon Mystery Dungeon series and want to know how it compares. For me, I really like Pokémon, but don't have any experience with this spinoff series. I've heard good things about the roguelike genre, and was wondering if this would be a good gateway for me. And others may be big roguelike fans, be passing fans of Pokemon, and may be wanting this review to answer if this game has the depth they're used to. It's tough to serve all those masters as a reviewer. My question- Is it closer to gates to infinity or is it closer to darkness and time since that is a huge determint factor for Pokemon Mystery Dungeon fans since all the games score around this. Just want to put my two cents in here really quick. I am a huge Mystery Dungeon fan and Explores of Time is easily in my top 25 games of all time, it was a defining and important game for me all those moons ago. For those asking how it stacks up to the older games, allow me easily assure one thing, it is better than Gates to Infinity. Now I didn't hate Gates to Infinity like everyone else, but I will admit it was a pretty weak game, due to lacking roster and slow text speed. I'm still in Super's very lengthy tutorial, but already the improvements are there and they are exactly what needed to change, better roster and text speed is sped up. The story...seems a little weak at the moment, but I have a feeling that will change. The difficulty is back, and it is definitely a welcome change from Infinity, glad hunger returns in this one too. Now....is it better than Explorers of Time/Darkness/Sky??? I can't (and likely won't) be able to answer that for now, hell even after I beat the game, I doubt I'll be able to decide. Overall, I'd give super from my first few hours an 8.5/10, difficult, but not punishingly so, the music is amazing, the best part of Infinity (the Graphics Engine), is improved, which is great! Story...little lacking, but I'll still reserve judgement for later into the game. To those who were fans of Explorers Time/Darkness/Sky, or even Infinity go for it! If you enjoyed those games, you will enjoy Super Mystery Dungeon. 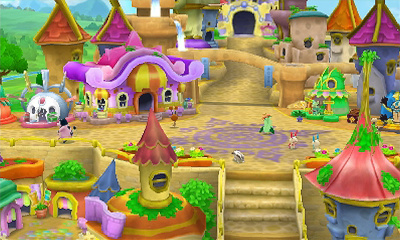 Etrian Mystery Dungeon is a better option for a 'Mystery Dungeon'-type game on 3DS. I'd recommend that instead. You guys are pretty hard to please. I expect at least a 9 for Xenoblade X tho. I mean, c'mon you guys gotta.. C'mon..
@sWiTcHeRoO Agreed. I feel that Etrian Mystery Dungeon gets too much flack for not having a deep story, but it goes a lot deeper in gameplay compared to Pokemon Mystery Dungeon... and it's not like Pokemon Mystery Dungeons are extremely deep either. EMD is easily my favorite Mystery Dungeon game. @Seacliff Explorers of Sky is, from what I've heard, the same exact game as Time/Darkness. I'd go with Super Mystery Dungeon, but if you want to play through the game again, get Sky. Both of them are great though. Sorry but I think this deserves a higher score and the only bad thing being the extreme amount of dialogue. It is difficult and that is a positive aspect. All the pokemon games are tedious. Yeah, I'm gonna pass on this one. Despite the main Pokémon games being some of my favorite games ever, I've rarely found any enjoyment in spin-off games (aside from Pokémon Snap, of course). Especially out of the PMD series. I think it's the difference in the battle system or something like that. Soon as it drops to half off or less I'll consider it. I'm all for the grind in most cases; I can do it for hours on end in the likes of Dragon Quest games. But I could never suffer the Mystery Dungeon grind. Yet I'm still interested enough. 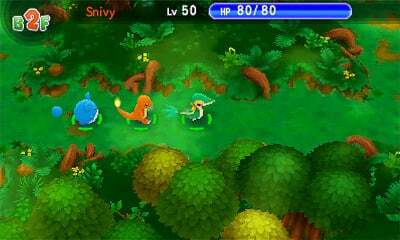 I know the Mystery Dungeon games has its fans, but I think it needs a break while they either give us some newer Pokemon spin off ideas or they give sequels to much preferred ones like Snap and Conquest. Hell, I would not even mind a Ranger 4 at this rate. Not to hate on MD, but it just seems these days whenever it comes to a Pokemon Spin Off, its either this, another Rumble, or another Puzzle game. I'm not really surprised by this score. I know the Pokemon spinoffs have their fans (and I like a few spinoff franchises myself) but I was never able to pick up another MD title after Blue Rescue Team on the DS; I recall liking the story, but it was really the post-game grinding that chased me away from the series. I agree with the sentiment that the review doesn't really compare the game with past installments in the Mystery Dungeon series. I know what I'm getting into when I pick up a Mystery Dungeon game thank you, what I want to know is if it's better or worse than Sky and GtI. @ChromXsome Um...yeah Mr. Vogel seems to hate RPGs but he always reviews them and never gives them anything but a 6/10. Um...thank goodness he didn't review Xenoblade Chronicles cuz I'm sure it would have received a 6/10 as well. I just checked and @Epona14 is correct...why the heck does he give every RPG that he reviews the same score? They clearly aren't all of the same quality so that proves that he doesn't know how to properly review a game in the genre...no offense Mitch Vogal, I don't mean to attack you, but I just feel that you aren't necessarily the best person in the Nintendo Life crew to review RPG's. I've heard really good things since launch from players, even though critics don't seem to love it. I think I'm glad all the critic reviews came late, otherwise I might have not wanted to get it. Seems like the only bad thing about this game is it's tedious at times. I'm ok with that. And I expect it. And too bad about the score, was hoping this would break the mold. Mystery Dungeon series will always be a hidden gem then. @Bolt_Strike Yeah, this was my first Mystery Dungeon, so you're reading a review of a first timer's impressions. From what I've heard, this isn't nearly as good as Explorers of Sky. 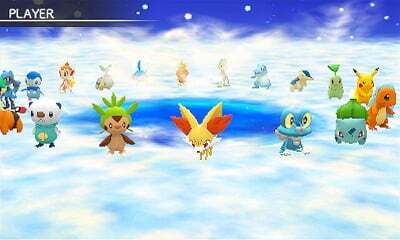 @vincentgoodwin - I agree, but with series like this that stay very consistent between the games, I think its more important to say how it compares, otherwise this site will just have several reviews all stating what Pokemon Mystery Dungeon is about, instead of the differences between what each is offering. So is there anything that sets this game apart from previous entries, or is it just the same thing with prettier graphics and more Pokemon? I have a copy but have not gotten far.So, I can't really give an impression yet.From experience,most professional reviewers just don't like the Pokemon Mystery Dungeon series.I have heard that this entry is the hardest in the series. Regardless,this is one of my favorite game series and I am hyped for every entry.I pre ordered the game when E3 was going on. @Geonjaha While I would agree that having a series vet reviewing this would be better, that still doesn't make this game's problems go away. It may be that some people are huge fans of this game, and I can see why, but the game still has pacing issues and difficulty spikes. I disagree with this review. It's not that bad and to me it's already ahead of Gates to Infinity. And every MD game has difficulty spikes. Explorers of Sky definitely had them. This is still a great game and gets an 8/10 from me. I couldn't even finish Gates to Infinity but this one I definitely see me finishing. On the plus side, it did guess the starting pokemon I wanted from the personality test perfectly. It's eerily uncanny. The graphics are also great. I loved the environment and all the pokemon models. I just wish the start wasn't so SLOW. It leaves a bad taste in your mouth afterwards. Also, what started into a minor annoyance quickly turned irritating: I never want to push a pokemon to the side, and that they made this a default and have you push a button to do the previous behavior of swapping places with your partner pokemon feels like such a huge oversight on the part of game testers. Overall though, it's still your standard pokemon mystery dungeon game, with the plus side of being able to recruit every single pokemon. It has its problems but I think it's still fun to play. @MitchVogel I mean no offense, but it's not entirely helpful if we're getting a review from a first time player in a long running series like this. How am I supposed to know if it's worth getting if I don't know how it stacks up to the Mystery Dungeon games I already have? I suspected it wouldn't be as good as Sky, they don't make games that good anymore, but if it's at least somewhere in between then I'd probably be satisfied with it. The only Pokemon Mystery Dungeon game I've played is Red Rescue Team on the GBA. I did find it tedious after a while so I think I'll give this one a miss. I'll probably play an RPG like Earthbound instead. All I can say as another person with no experience with the Mystery Dungeon series but wants to try this game, it wasn't a very good idea to write the review from a newbie's perspective. How do I know that the complaints listed are usually there throughout the series? Is this the best PMD game to try first or is it the worst? Sorry but this review doesn't make any sense. That is interesting. I tend to trust Destructoid reviews more than other reviews, I feel like they're more in line with my own opinions. @Bolt_Strike I see what you mean, but I don't think a game should be judged by comparing it to previous entries in the series. The way I see it, it's irrelevant how a game stacks up to its predecessors, as they are entirely separate games that have no bearing on the strengths and weaknesses of the game being reviewed. I know lots of readers are salty this didn't get an amazing score, but giving this game any higher a score would be turning a blind eye to its problems. In my opinion, it's not a bad game, but it definitely has its shortcomings. I'll never understand why Pokemon Mystery Dungeon games always get low review scores. 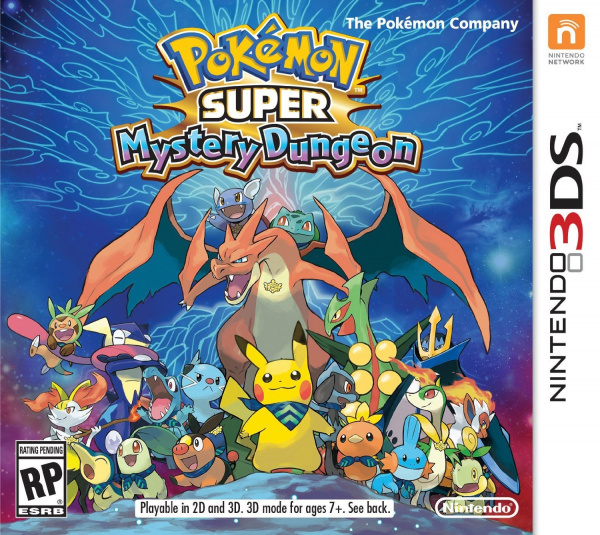 This one's got a 9.0 user score on Metacritic and having played it for about 30 hours so far there's no doubt in my mind that it's the best Mystery Dungeon yet. Seriously, in every bad review article I see comments saying something along the lines of "well I guess I'll save my money then." I've never gotten this mindset, it's already bad to base your judgements on only reviews, but it's another thing entirely to base your judgements off a single review (no offense to the writer). If you're in the least bit interested in the Pokemon Mystery Dungeon series, it's 100% worthwhile to get this game. It's everything Explorers was but better. If you're a fan of Pokemon, a fan of the MD series, or even just mildly interested in the title, please research the game a bit more before deciding whether or not it's worth buying. Gates to Infinity was quite good. I finished the game, but didn't "catch 'em all". Still, it was a worthwhile time. I'll probably get this eventually, but I suspect that Gates to Infinity was just as good for the most part. @3DSWiiUFanatic I'm glad you enjoyed Gates but I've heard almost unanimous agreement that this one is way better. @SushiGummy Yeah, it might be. But it sounds like they didn't fix any of the perceived problems with GTI, and just added a ton more content. GTI had the difficulty spikes that he described, but they sound worse in this game. GTI got tedious at times, and repetitive, sometimes the dungeons were just a few floors too long. But it was really polished in terms of the graphics, and was pretty satisfying story-wise. After finishing GTI, I didn't think to myself "I wish I had an even longer version of this." @3DSWiiUFanatic Yeah, I wouldn't really know since I never ended up buying GtI because I wasn't a fan of the demo. I could see those same issues brought up for Explorers or Rescue Team, but I personally love the games and the difficulty is actually part of the reason I like Super right now. In general there are lots of improvements I just really enjoy. I don't know if there's a demo, but if there is, I do recommend giving it a shot. It does get pretty difficult though. I have several issues with this review. The biggest one, I think, is that you gave Gates (arguably the worst entry in this franchise with its bismal story and lack of Pokemon and content) an 8/10. Yes, I know the score doesn't make the game, but you praise Gates for doing things that you criticize in this one. Part of this problem, I think, is that I don't believe the same reviewer review both games. Personally, I would've liked to see this review written by the man who wrote the review for Gates, as I felt he understood the game's inherent mechanics and all, and he went in knowing the staples and troubles of Mystery Dungeon games to judge it as a mystery dungeon game. Alright, so I'm about 19 hours into this game and I LOVE it. I used to always hate the gameplay of all the games in this series, but what always kept me coming back was the story. This game does not disappoint in that area, and it's the first game in the series that got me to really enjoy the missions and exploring dungeons. I don't know how they did it, but they did. They added enough new mechanics and really made recruiting Pokemon through various missions much more satisfying and addictive through the new connection orb feature. I think what really got me to enjoy the game a lot more was changing the way I played it. It's a lot more enjoyable if you think of it as more of a relaxing sort of game. It's definitely nowhere near as fast-paced as a lot of games today, so it's much more fun if you play it to relax or while you're winding down (this game does give you more to do in dungeons, so it is a small amount more energetic). A lot of the challenge and strategy comes from inventory management, being prepared for the dungeons you're heading off to and trying to think of all the things that could happen. That being said, playing this game for long periods of time will definitely start to drain the fun, so it's best to play for small amounts of time, about 3-4 hours the most for me. I've played all of the games in the series (Blue, Time, Gates, and now this) while I do think Gates was the weakest, I still got enjoyment out of it (only for the main story though), Super, while I'm not yet done with the main story, feels a lot more lovingly crafted and the story is definitely a lot more on par with the Explorers games in terms of grandeur (plus, the graphics are better,and the music is awesome too!). I say, for all you who have played Mystery Dungeon in the past and have gotten some enjoyment out of it, give this one a go, it'll surprise you if you give it the time. Anyone who enjoyed Gates will love this since it's so much better, and anyone who loved the previous games will definitely see this as a return to form. As for anyone curious about the game, this game is a great one to plunge into the series, it's a lot more refined and still keeps the difficulty, and the whole game feels like it had a lot of love put into it (talk to all the NPCs, they have a lot of dialogue! ), love that reminds me of Paper Mario: The Thousand Year Door even! So, if you're at all curious, please try this game out, I feel like the developers deserve to have their game recognized for all the hard work they put into it. honestly first you give a game like sticker star a good score,thn you give a game that's far better a bad score. I lost any respect i had for this site. Let's just say that I find it better than Gates of Destiny but... I think nothing can beat Explorers of Sky. But I would at least put it an 8/10. While Explorers of Sky is 9-9,5/10. From what it sounds like, if you're a mystery dungeon fan, you'll enjoy the game. Which is what the review said.It would've been nice to hear more comparisons between gates and explorers of so that we have a better understanding of where it stands within the mystery dungeon series, but its fair to to look at the game as it stands alone by itself. I do find all pokemon games more or less tedious, but that's expected at this point. "how" tedious in comparison to the others would've been helpful for future reference. But yeah, cana't wait to play it. fan-based reviews have me excited. I heard gates was just that bad, so I passed on it, but I'm finishing up explorers of time (cause my local gamestop didn't have sky and didn't feel bothered enough to get it on the internet). really nice game in the series, but here's hoping this one tops it. @Swamp-Marsh-Mud im glad you agree that I can have my own opinion. The only reason there is a fanbase is because clearly this game is making money otherwise, like other spinoff titles, it would have been sent out to greener pastures à long time ago. It's great that you and others like it, it's not great that nintendo can get by with just making this mediocre. As someone who has played and beaten this game, have to say that this review is way off the mark. Would rate higher but post game missions are pretty tough haha. Gates easily had the best main story, just weakest gameplay and lack of post story. I give this game like a 7.5. I enjoy the loopet system, but they changed the befriending system which really hurt the gameplay in my opinion l. Also the introduction was way too long. I got mine. Played it. and I enjoy it. The tutorial a Slow beginnung and typical story line. And parts do get frustrating since a lot if dungeons but they add new elements. So it's 4/5 stars for me. Seeing too many bad reviews over those 2 games and I think irs rubbing off on ppl? Not surprising. It's a niche type of game that sells better than it normally would because of the Pokemon characters (there's a reason the only Mystery Dungeon games around now are crossover titles). The gameplay is inherently very repetitive, and there's no way to get around that without the game being completely different. That said I will probably get this later on down the line as I actually greatly enjoy dungeon crawlers... and Pokemon obviously. Wouldn't recommend to anyone who doesn't like the idea of constantly navigating and fighting through randomly generated levels. Roguelikes are a difficult genre to review in my experience: Do you review a title for the roguelike players or for the general gaming audience? You can say that of many genres, but roguelikes are a particular thing for particular tastes--the escargot of gaming. Nearly every roguelike can be described as tedious with lots of grinding and repetition (especially true roguelikes with permadeath where players will start dozens of times, even hundreds). True, more modern roguelike have tried to reduce the need for grinding, but grinding is associated with the genre. I can say that Diablo and other dungeon crawlers are also very repetitious. So, to me, I wish that such generalizable criticisms were more qualified. I disagree that a game should be judged in a vacuum. No one, except the newest of gamers, approaches a game without a context of and comparison with similar games. If anything, I expect reviewers of any sort--movies, art, food, comics, games--to have a formidable history that they bring to a review, using the most salient comparisons. I think Mitch's review is a valid as a first timer in this series (in this genre? ), but IMO that qualification should be stated up front. Valid though Mitch's experience and opinion are, they're not much help to me (and I imagine many gamers) if it's not an experienced opinion. Update: FWIW, I'm indifferent to this series. I have some experience with it, though I've played a number of roguelikes, and I don't care if this game is a fail or not. So, I have no beef with your score because I'm not a fan of the series. It's just like that one guy over at Kotaku, who previewed Xenoblade Chronicles X. He said, when he had to describe the game with 1 word, then it would be "boredom". He also said the same to the original XC. He didn't like the world, characters and story in the original game. So, why does Kotaku choose this person to preview XCX? Because he was the only one who could speak japenese and played the original game. For all those who complain about the note, just add a point or two. This clearly seems to be reviewed for a larger public than the few Pokémaniacs who would buy every thing named Pokémon and the players who like the Mystery Dungeon series. This article made a clear list of the things who keep entertaining you and the ones who could pull off the "virgin" player. I personally enjoyed the first one as a comedic break after Draque IV, since the repeated actions were clearly Torneko-esque. But I never could finish any other Fushigi Dungeon, since they are all the same games with minor tweaks and I don't mind saying it was boring despite being funny. No matter how well done/thought the games are, they are first and foremost Fushigi games with a different costume. You must adhere to the base system before trying any title (I tried the first Pokémon iteration, a Shiren one, another Torneko on GBA, and two Pokémon DS games). I really disagree here, I would rate it an 8 out of 10. I got through the tutorials fast, and enjoyed them, as they offered new insight. The fact that this game is tied to all the other entries is really nice as well. In terms of story, It almost beats Sky's imo. Yes the dungeons get pretty tough at times, but I like a challenge, and with the easy access to reviver seeds and the emera abilities, it's still pretty fair. If you like the series and are use to it, then you will probably love this one to. @Swamp-Marsh-Mud Sure do, dunno what though. I think the only PMD I missed was Gates to Infinity, just haven't been making the time for gaming like I used to. Anyways, I downloaded this last night regardless of the the 6/10 (I think Blue Rescue Team got the same score?? ), and I'm loving it so far! Usually spin-offs to main series aren't my thing, but I find these games so addicting. I think this is a good game to play a little bit at a time throughout the day; I remember keeping my DSi in my pocket and playing Explorers of Time on breaks when I used to work at a nursing home. If I had time then, I'm sure I can find a little extra time now..
And I'm a Pokemon fan, but I personally didn't like (or buy) oras--I thought it was a weak re-hash/remake, lazily taking out plenty of great things from the original(s), which could've easily been kept in (if the battle frontier was possible to put in a gba game, it obviously could've been kept in a 3ds game) and calling it a day. So I'm not just saying this "because pokemon"; PSMD has it's issues--what game doesn't--but it's genuinely a huge improvement from GTI, in all aspects + doesn't deserve such low ratings. I just beat this game. At least, the main story. Gameplay is definitely a hit or miss for some people, but I like it. I wouldn't say I love it, but I think it works and is enjoyable enough. I don't understand where the complaints for grinding come in. I didn't have to grind once. The game gives you so much money and items that the only times I had difficulties were when I purposefully limited the amount of items I brought with me (although this was mostly so I'd have room to pick up more items). I mean, honestly now, you can only do one or two missions before the next story segment comes up. And considering there isn't any other way to pass the time in game, I wouldn't consider this grinding. As for the complaints about the tutorial taking too long, I see the complaint, but the tutorial is tied in with the actual story, which for me is a positive. The only other Mystery Dungeon game I've played is Red Rescue Team on GBA (which I never beat), and I remember the story moving a lot slower in that game, so having a new cutscene every day or every other day in-game was refreshing to me. The soundtrack for this game is great, too. Just an amazing soundtrack. Some songs come back from previous PMD games, which is pretty rad. I recognized the song from Gates to Infinity (I never bought the game, but I played the demo), and from what I've heard, the music would probably be the best part of GtI anyway, at least for me. Lastly, the story won't appeal to everyone... But it really got to me. The slow start and innocent nature of the story is merely a ruse. The last few hours of the main story are ridiculous. I could hardly believe I was playing a Pokemon game. If you're the kind of person who gets attached to characters, I think you'll enjoy this story. Especially if you use names that mean something to you. As I said above, I've only played one other PMD game, and as far as the mainline series goes, I've played a lot of Red, some of Emerald, some of Pearl, beaten Black, some of White 2, and beaten Y, so even though I do enjoy the franchise, I'm not a die hard fan. With that said, I really want to give SMD a 10 for the story alone, but I think a 9 would be more appropriate. I'm serious man, this story is something else! Cliche as it can be, it knows why cliches are cliches-- because they can definitely work.